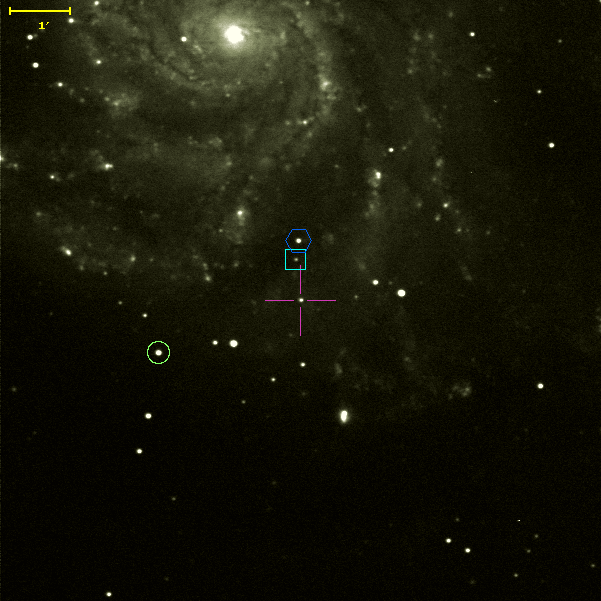 SDSS J102915+17292, a star that should not exist. 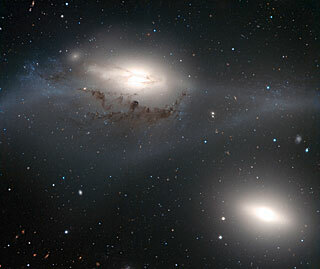 Image credit: ESO/Digitized Sky Survey 2. A fabulous video of Comet Garradd passing the globular cluster M71 done by Bareket observatory, Israel. Detection of Supernova PTF11klyin M101 (colour inverted(see original)). 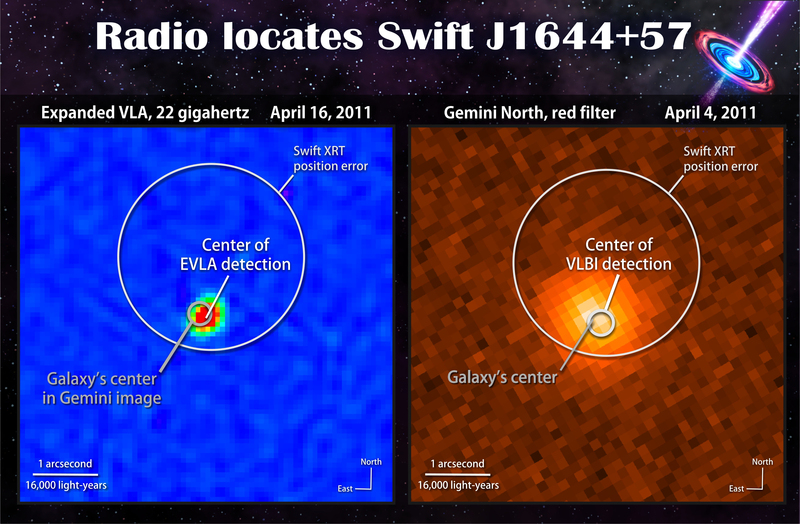 Original image credit: Palomar Transient Factory. 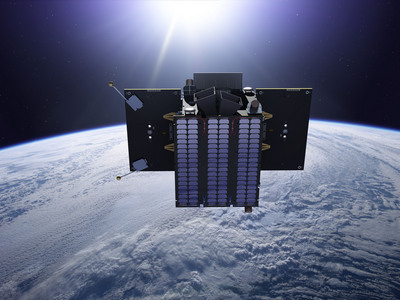 The twin GRAIL spacecraft will map the Moon's gravity field. NASA's Gravity Recovery And Interior Laboratory (GRAIL), mission to study the Moon is in final launch preparations for a scheduled September 8 launch onboard a Delta II rocket from Cape Canaveral Air Force Station in Florida. The American Association for the Advancement of Science, publishers of Science Magazine, Honours Deirdre Kelleghan for her ‘Deadly Moons’ Drawing Workshop with the Prestigious SPORE Award. category: Astronomy Education Comments Off on The American Association for the Advancement of Science, publishers of Science Magazine, Honours Deirdre Kelleghan for her ‘Deadly Moons’ Drawing Workshop with the Prestigious SPORE Award. Deadly Moons an interactive drawing workshop for children created by by EAAE's Irish National Representative Deirdre Kelleghan has been recognised for its educational value by Science Magazine, the publication of The American Association for the Advancement of Science. Deadly Moons is an interactive drawing workshop. It teaches children aged 6 – 12 about our moon and some of the other exotic moons in our solar system. 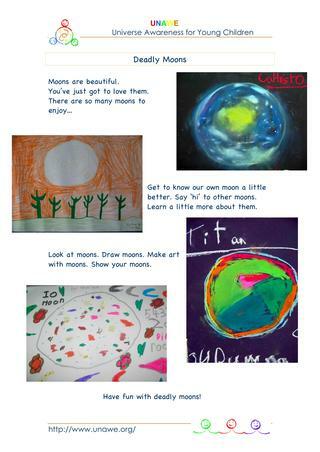 Deirdre Kelleghan created ‘Deadly Moons’ in March 2008, she found that children had a very positive reaction to it. The title of the workshop was inspired from the local dialect children use in Ireland, they have said to her ‘that’s deadly’ when they looked at the moon through her telescope. ‘To children the word ‘Deadly’ means ‘Totally Amazing’, therefore it was an already welcoming positive word and that’s the appeal of the title’ - says Deirdre. It is Deirdre’s belief ‘that awareness of our moon and the Universe in general should be fundamental to the education of young children. When I found that UNAWE were looking for downloadable resources, I was delighted to offer the Deadly Moons workshop to them as they could reach more children than I could ever do’. Deirdre Kelleghan’s Deadly Moons workshop has been welcomed in Schools and Observatories in Ireland. The Irish Girl Guide movement has also embraced the workshop in their Centenary Year. So too have many County Libraries in various locations in Ireland. The Draiocht Arts Centre heralded the Deadly Moons workshop as a very successful community exhibition. 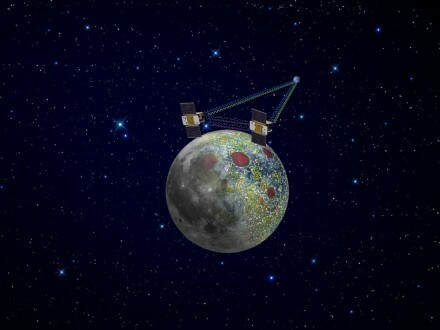 Deirdre was also invited to give her Deadly Moon workshop by the Astronomical League and the Observers Society of New York at Hofstra University,USA. The Science Prize for Online Resources in Education (SPORE) has been established to encourage innovation and excellence in education, as well as to encourage the use of high-quality on-line resources by students, teachers, and the public. Deirdre goes on to say that she ‘ is very honoured indeed to receive this recognition and she offers special thanks to The Dublin Institute of Advanced Studies, Blackrock Castle Observatory and Dublin City Libraries for their nominations.’ Several schools have used Deirdre’s workshops to enhance their applications for Discover Science and Engineering’s - Primary Science Award. Previous laureates of the SPORE Award have been: MIT Open Courseware and The Periodic Table of Videos. You can find out more about UNAWE and Deadly Moons in the SPORE essay published on August 26th online and in Science Magazine - One of the World’s Leading Scientific Journals. 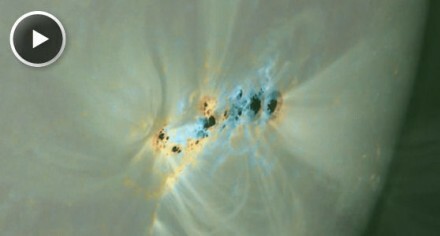 a sunspot emerging from depth in February 2011 (click on image above). Source credit: Thomas Hartlep and Scott Winegarden, Stanford University. 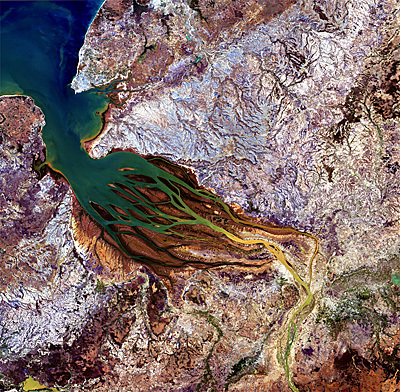 Proba-2. Image credits: ESA/Pierre Carril. 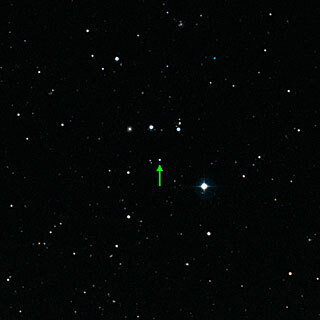 Artist's conception of a "Y dwarf". VLT Looks into The Eyes of the Virgin. 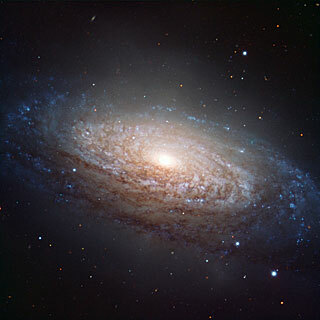 Picture of the nearby galaxy NGC 3521.
solar storm traveling all the way from the sun to Earth and engulfing our planet. A 17 MB Quicktime zoom adds perspective to the main 40 MB Quicktime movie. 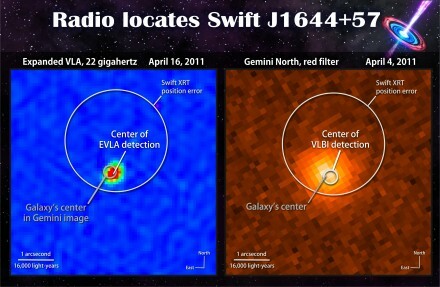 Making a black hole let go of anything is a tall order. But their grip may slowly weaken if the universe has extra dimensions, something that pulsars could help us to test. String theory, which attempts to unify all the known forces, calls for extra spatial dimensions beyond the three we experience. Testing the theory has proved difficult, however. 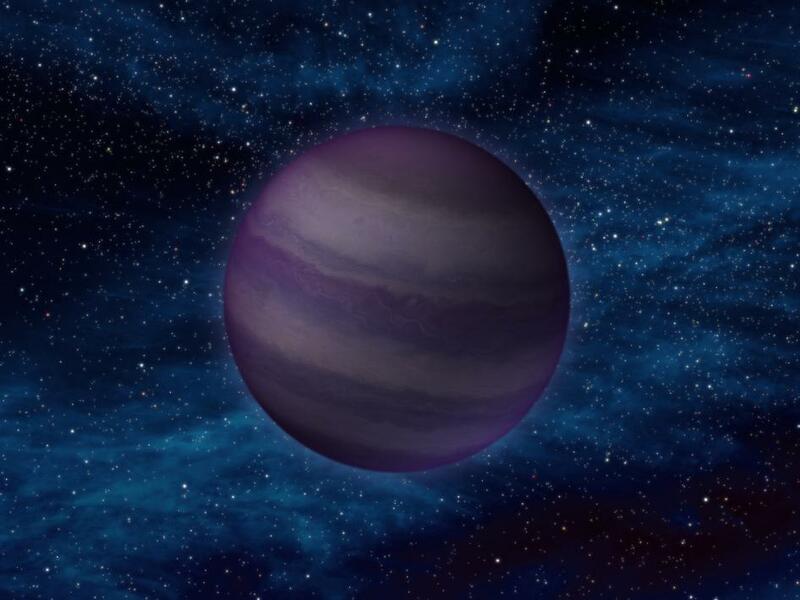 Now John Simonetti of Virginia Tech in Blacksburg and colleagues say black holes orbited by neutron stars called pulsars could do just that - if cosmic surveys can locate such pairings. 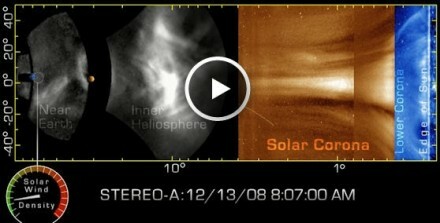 "The universe contains 'experimental' setups we cannot produce on Earth," he says. 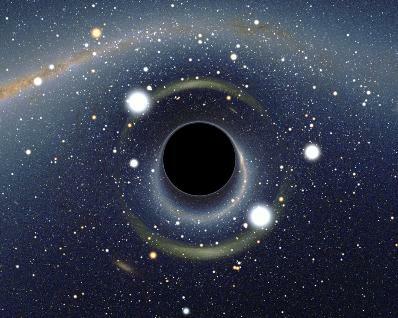 Black holes are predicted to fritter away their mass over time by emitting particles, a phenomenon called Hawking radiation. Without extra dimensions, this process is predicted to be agonisingly slow for run-of-the-mill black holes weighing a few times as much as the sun, making it impossible to measure. Extra dimensions would give the particles more ways to escape, speeding up the process. This rapid weight loss would loosen a black hole's gravitational grip on any orbiting objects, causing them to spiral outwards by a few metres per year, the team calculates (The Astrophysical Journal, DOI: 10.1088/2041-8205/737/2/l28). 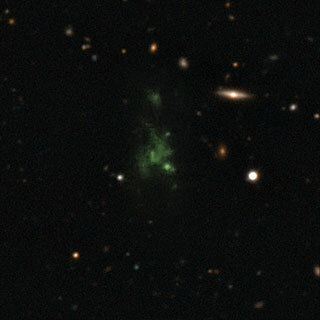 Lyman-alpha blob LAB-1. Image credits: ESO/M. Hayes. 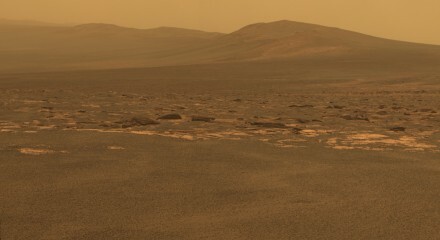 Portion of the west rim of Endeavour crater. This year, the Perseid meteor shower, that usually peaks on August 12-13, will be hard for skywatchers' observation, becuase the full Moon will coincide with these dates. Since the Perseids are normally bright and active for some days you will be able to see Perseids in the two or three days before the peak if your skies are dark. 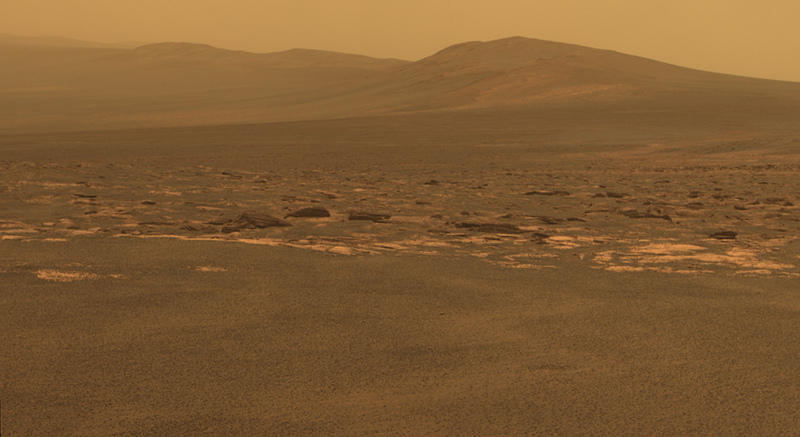 Northern polar region of Mars at the northern hemisphere summer solstice.